Can you believe that we’re just week’s away from year’s end? Neither can we. Whether 2016 has been a great year or a year you’d rather forget, there’s no better time than now to plan a New Year’s Eve to remember. And what better way than to enjoy a festive cocktail to ring out one year and in the new? 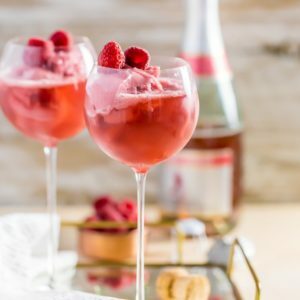 We’ve scoured Pinterest for 10 of our favorite bubbly-based cocktails perfect for a toast or a tempting party libation. Still don’t see something you want? Try this easy infographic about champagne cocktails to improvise your own. Don’t want to drink champagne all night? Get the fun without the fizz with these delightful Champagne Gummy Bears .